TJ Fischer is Moving Up and Racing in Europe! My FishDuck.com friends…please indulge me today as I write from a place of pride about my nephew. He has been ascending the impossibly difficult ladder of Professional Motorsports. As a young man, he faced an equally difficult choice: college football or open-wheel (formula car) racing, having grown up doing both. Winning regional formula car races marked the beginning of his career, eventually culminating in a National Championship. Last year, he seized a happenstance opportunity to continue his ascent apace: racing in the UK. 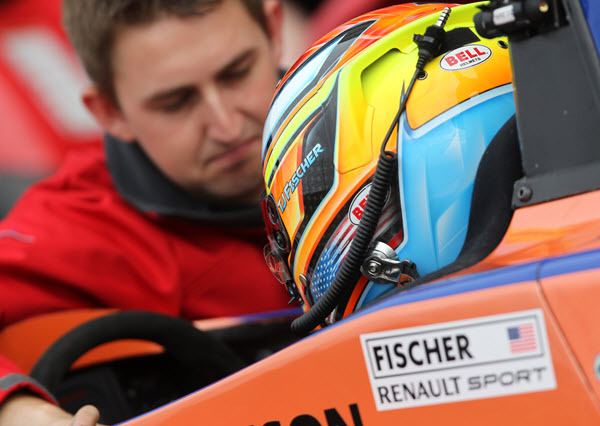 San Francisco, CA – In an exclusive arrangement, TJ Fischer will be competing in the 2015 Formula Renault 2.0 ALPS for the newly formed Salvador Duran Racing team. This move marks a significant progression in TJ’s career and will see him race in one of the premier European formula car development series. This will give TJ the opportunity to race at some of the most historic tracks in Europe, many of which are home to major Formula One Grand Prix races including the legendary Spa Francorchamps in Belgium, the world-famous Monza circuit in Italy, and the Red Bull Ring in Austria. 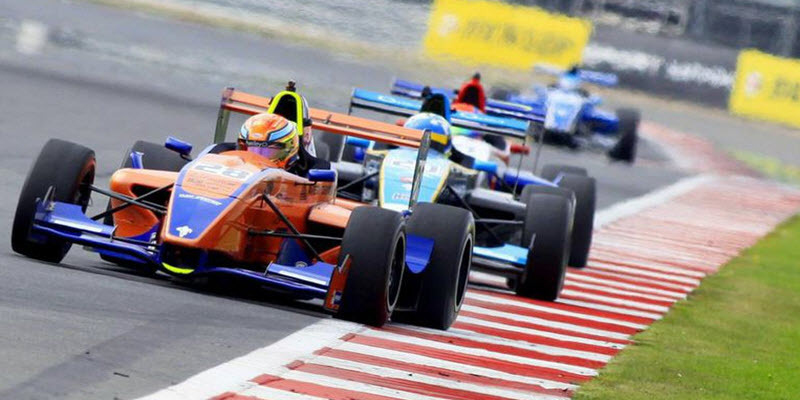 The 2015 Formula Renault 2.0 ALPS series is made up of seven races, kicking off in Imola, Italy on April 12, 2015. To keep up with TJ Fischer on his unique Italian adventure, he’ll be keeping fans and supporters informed with regular posts on Facebook (https://www.facebook.com/tjfischerracing12) and Twitter @travisjfischer. TJ Fischer | Button Willow Test from Exertion Media on Vimeo. In 2014, TJ joined the highly-regarded Cliff Dempsey Racing Team to race in the BARC Protyre Formula Renault Series in the UK. TJ garnered six top-5 finishes, while finishing 6th in the overall season Championship, an excellent result for a US driver new to European formula car racing. Crucial moments in the pit. TJ Fischer found his passion for racing in 2005, at the early age of ten, when he began racing karts throughout northern California. He eventually competed and won at the highest levels of karting at race tracks all over the United States. 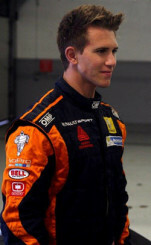 TJ moved to open-wheel Formula Mazda race cars in 2012, joining EFM Racing. A graduate of Vacaville High School in Vacaville, CA, he is currently a 3rd year student at Grand Canyon University. As well as racing, he has played collegiate-level football with Pacific Lutheran University. For more information, please visit TJ’s website www.tjfischerracing.com. Salvador Duran is a Mexican driver and team owner who has enjoyed success on both sides of the Atlantic. He is a former winner of the prestigious Rolex 24 Hours at Daytona. He has successfully competed in the prestigious World Series Formula Renault 3.5 as well as the A1GP Series representing Team Mexico, being the only driver to clinch victories for the Mexican team. He also won the British Formula 3 Championship in the National Class setting a 300-point record in the series with 14 podiums and 9 wins. Salvador’s race team, Salvador Duran Racing, is currently the only Mexican racing team in Europe and will be competing in the 2015 Formula Renault 2.0 ALPS season. In an exclusive deal, Salvador Duran signed up-and-coming US racing driver TJ Fischer to the team. TJ is the only US driver competing at this level in Europe.